The beautiful Jemison-Van de Graaff Mansion in Tuscaloosa, Alabama is filled with mysteries such as a door that leads nowhere, deep underground tunnels, 2-foot thick brick walls, and many reported paranormal experiences reported by visitors. Construction on the mansion began in 1859 at about the same time as the nearby Alabama State Hospital for the Insane was being built. 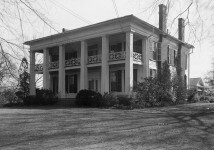 It was largely through Jemison’s efforts that Tuscaloosa was selected as the site for the hospital. 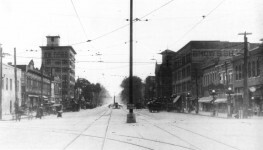 Stewart was employed by the Philadelphia architectural firm of Sloan and Stewart and was in Tuscaloosa at the time supervising the hospital’s construction. 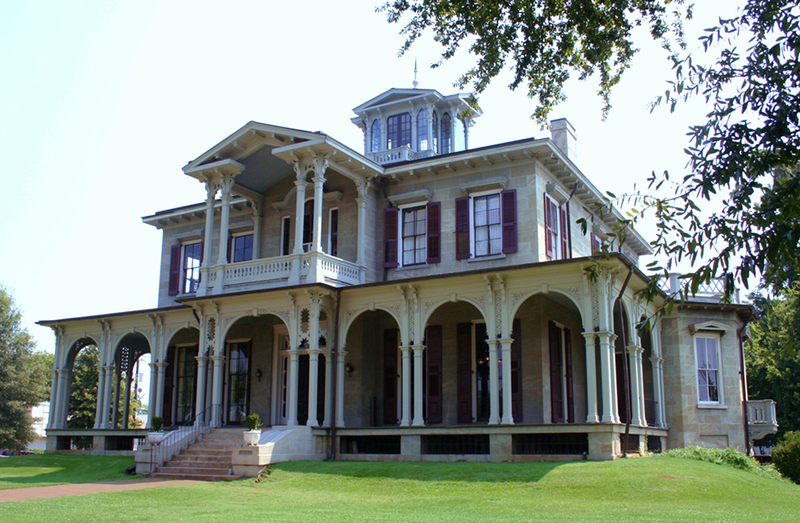 Jemison engaged him to design an elaborate showcase home for his family. 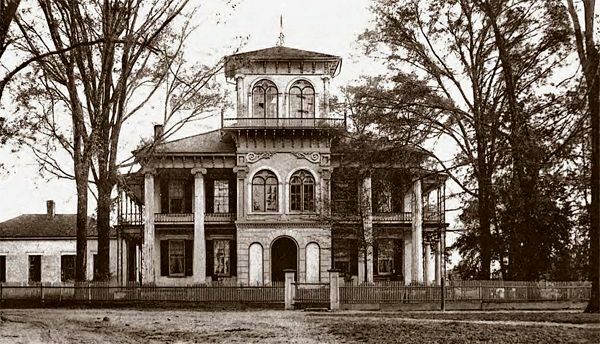 Legend states that Dr. Drish, also of Tuscaloosa, built his elaborate mansion (pictured below) around the same time as an attempt to rival the Jemison’s mansion. Robert Jemison, Jr. spared no expense in the construction of the home. 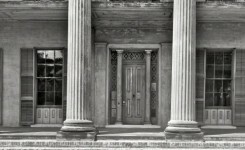 The mansion had 26 rooms with the most elaborate plumbing system in the State of Alabama at the time. 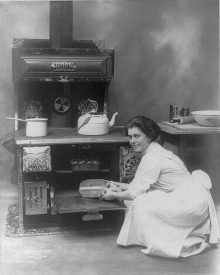 The system featured running water, flush toilets, a hot water boiler and even a copper bathtub. Gas was used to light the home and a kitchen stove was fueled by gas from a coal gas plant on the property. 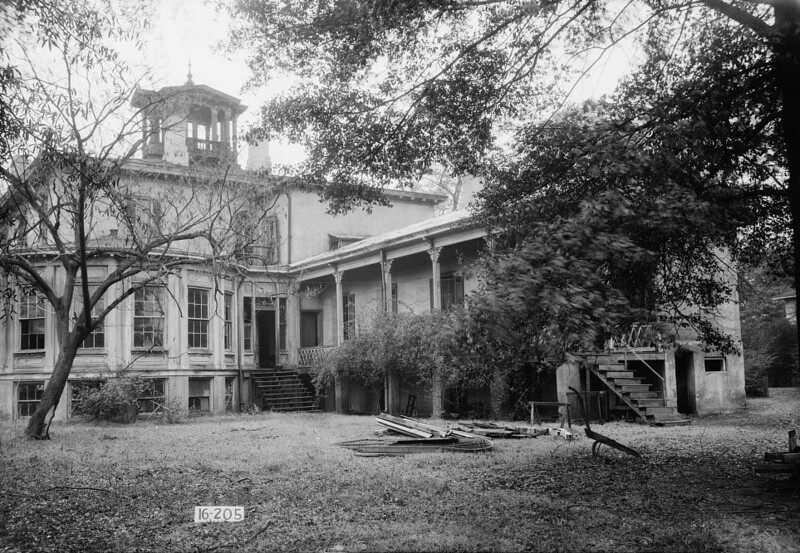 The mansion was still being constructed when the War between the States broke out and prevented many items from being delivered for its completion due to the Union blockade of Mobile Bay. One major component left unfinished was the central heating plant to warm the Grand Conservatory. Other items such as ironwork and marble mantels were also unable to make it through the blockades. The family moved into the incomplete mansion in 1863 with many things still undone. 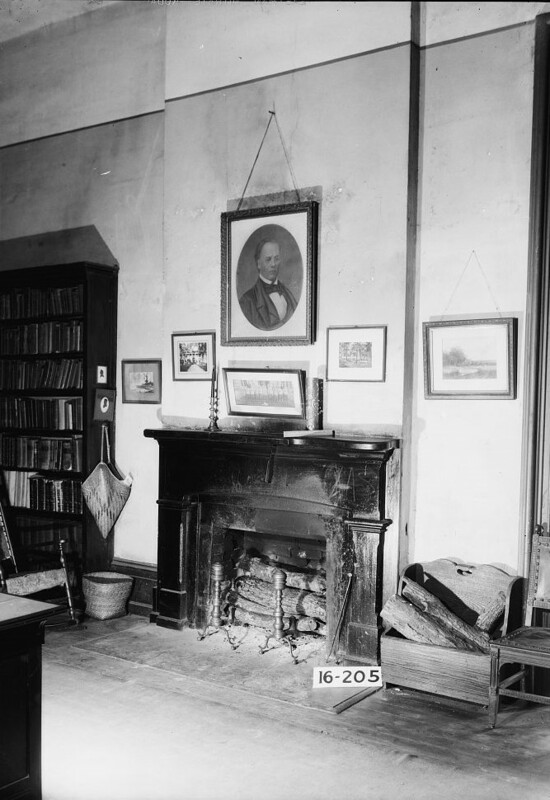 During the War between the States Union soldiers reached the city of Tuscaloosa in April 1865 and immediately set about burning much of the University of Alabama. There are at least two stories about how the Jemison-Van de Graaff Mansion was saved from destruction. 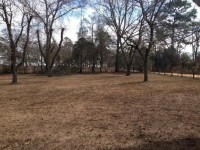 One story relates that since Robert Jemison, Jr. was an Alabama senator in the Confederate government, he was warned that the Union authorities were looking for him so he hid in the swamps that surrounded his land, while his wife, Priscilla Cherokee (Taylor) Jemison, remained home. When the Union soldiers arrived at the mansion, although she pleaded with them to not burn her home, she was given only fifteen minutes to collect her things while they waited outside with burning torches. At the same moment, a plan to save the house took shape. Some local boys rode down the street shouting, “Forrest is coming! Forrest is coming!” The ruse worked. The Union soldiers quickly retreated and the mansion was saved. 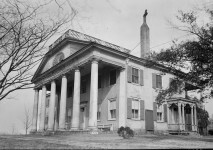 The other story states that Robert Jemison returned to his home and planned a large wedding celebration for the time when he knew the Union forces should be arriving at his mansion. The richest and most powerful Alabamians were in attendance at the wedding celebration. Jemison owned the only bridge that crossed the Black Warrior River. When the Union soldiers crossed the bridge, they found a large wedding celebration taking place and Jemison managed to work out a peaceful agreement to not burn the house. Jemison’s daughter Cherokee married Harvard Law graduate, Andrew Coleman Hargrove, on December 5, 1865. He had just begun his law practice in Tuscaloosa when the War between the States began. The large wedding reception was held in the basement ballroom of the Jemison Mansion. Robert Jemison, Jr. died at the mansion on October 16, 1871. During the Civil War, Andrew Hargrove received a bullet wound to his head and suffered with severe headaches from the injury. On December 6, 1895, he evidently could no longer endure the pain and shot himself in the library of the house. His distraught wife went into hysterics over his death and she remained in a deep depression for the rest of her life. 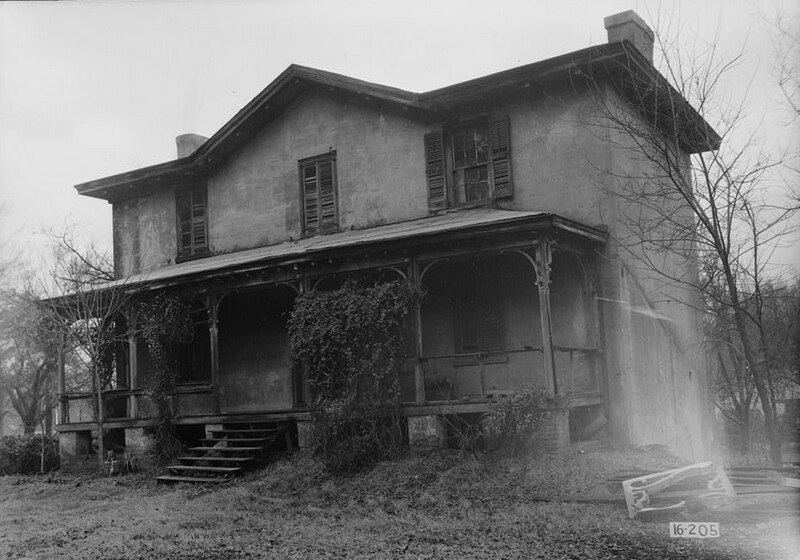 Some say that Mr. Van de Graaff’s daughter, Priscilla Cherokee, and her husband, Andrew Coleman Hargrove, haunt the house. 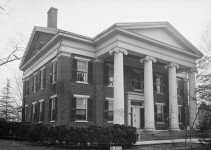 In 1890, Jemison’s granddaughter, Minnie Cherokee married Adrian Van de Graaff in 1890 and they moved into the mansion. Adrian was a substitute-player on Yale’s first 11-man football team. 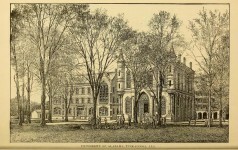 Adrian became a professor of law at the University of Alabama and in 1892 UA fielded its first football team. Adrian and Cherokee had one daughter, also named Cherokee, and four sons: Adrian, Hargrove, William, and Robert. Robert Jemison Van de Graaff was born on Dec. 20, 1901, in the Jemison mansion. Although Adrian Sr. wanted his children to attend Yale, the Van de Graaff family couldn’t afford that, so they went to UA, where all the boys would play football. Adrian and Hargrove earned positions on the Alabama Crimson Tide’s varsity football team in 1910 and William joined them in 1912. The mansion has been the subject of many paranormal investigations. 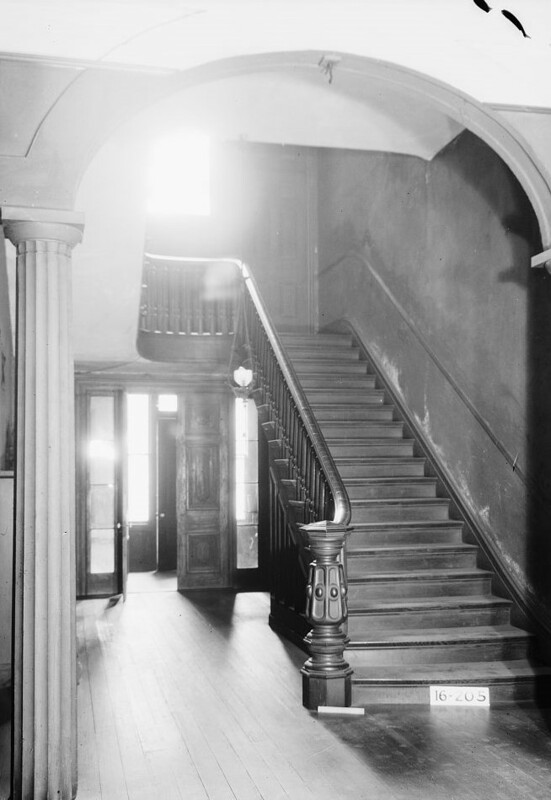 One story alludes to the appearance of an unknown girl who often lingers on the grand staircase and a child’s handprint found on a mirror in a closed-off room. Others claim to hear music and heavy footsteps when no one else is in the house. Many people have heard the sound of a great crash as if china cabinets were being thrown to the floor. The most astonishing story seems to be the report of a wall mirror that was reportedly thrown across an upstairs room while a young bride was preparing for her wedding to take place at the mansion. 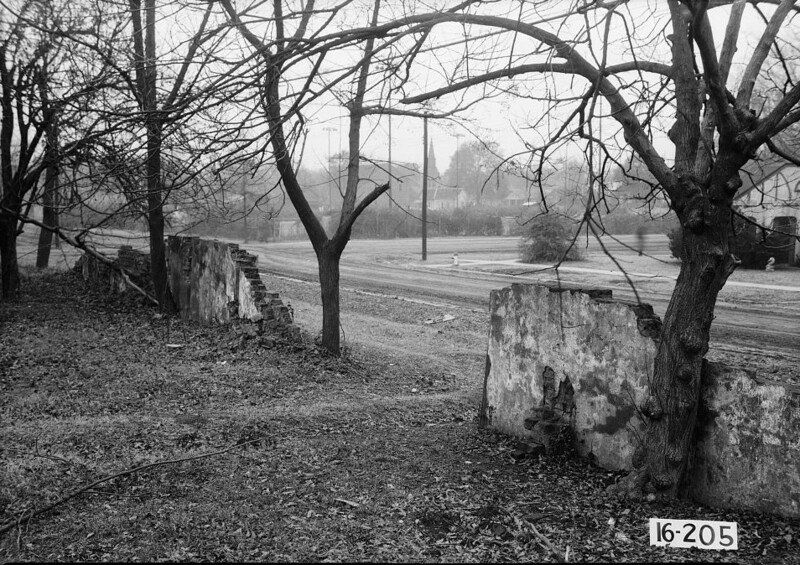 The persistent rumor of a secret tunnel from the house to the Black Warrior River seems to have developed from an early form of refrigeration which consisted of a deep dry well in the basement that kept food fresh even in hot Alabama Summers. 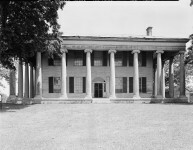 In 1991, the City of Tuscaloosa acquired the Mansion and deeded it to the Jemison – Van de Graaff Mansion Foundation that ensures the Mansion’s restoration and preservation. 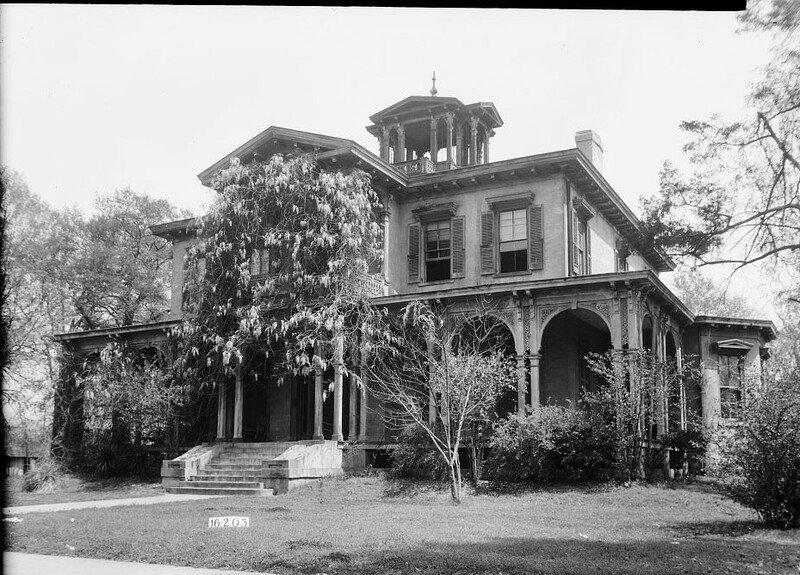 Using grants, donations, and financial support from the City of Tuscaloosa, this not-for-profit foundation is in the process of carefully researching and restoring this beautiful Mansion to its original appearance. 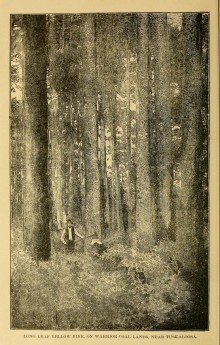 Stories include: The Yazoo land fraud; daily life as an Alabama pioneer; the capture and arrest of Vice-president Aaron Burr; the early life of William Barrett Travis, the hero of the Alamo; Description of Native Americans of early Alabama including the visit by Tecumseh; Treaties and building the first roads in Alabama. Robert Jemison, Jr. was my great-great-great grandfather. I heard a few stories regarding the house while growing up. Thanks for the additional stories ! Sharing with my family ! Do you have other stories you could share? Hi Ellen ! I remember being told that there was gold hidden on the plantation across the river from Tuscaloosa before the Yankees visited. Most of what I know about the Tuscaloosa Jemison’s came from my mother, who heard it from my great grandfather, John Jemison, when she was young, and that’s going a long way back in time ! Wish I knew more ! Are you related to the Jemison family ? I went and saw the mansion today. It is stunning! My son and DIL had their wedding reception there in Aug 2006. It was beautiful! Rich Raleigh- thought you’d find this interesting. I watched TV for the first time as the guest of the family living there in 40ties and 50ties. It was a beautiful old house! I can attest to the paranormal reports. I work with a film crew and we have been there twice to investigate, both nights had a lot of activity. Senator Robert Jemison was the uncle of wife of 3rd great-uncle of mine, William Jasper Prowell. His wife was Margaret Penn Jemison. I would love to visit this house someday! This was the city library when I grew up in Tuscaloosa. Looked so much better in white. I interned here in 2016! Amazing house and history.